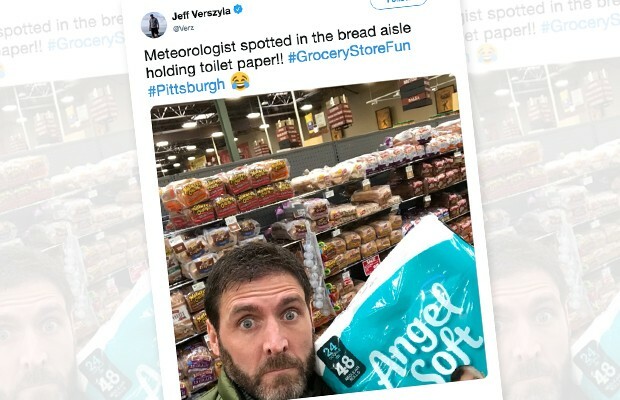 After 23 years as chief meteorologist for KDKA, Jeff Verszyla was let go by the station on Fri., Dec. 14. Many have speculated why he was fired, and fans have expressed outrage. If nailing a "dry slot prediction" in 2017 doesn't guarantee a paycheck in 2018, do any of us really have job security? Some newly jobless drown their sorrows in the ear of a sympathetic bartender. Others workout and focus on their hobbies. Jeff carries a dry erase board from Staples around the North Hills and predicts local weather. Best of luck to Pittsburgh's Rupert Pupkin. May all Alberta clippers be at your back with gentle El Ninos in your future.